Formulated to improve shell thickness and strength during periods of nutritional stress. 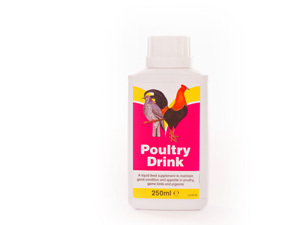 This product is a liquid product which is added totally independent of the feed, visit this site thus side stepping the feed intake, page reducing effects of stress, temperature, mineral imbalance and feed separation. SHELL MAX can be used to improve shell quality by providing soluble calcium, sodium bicarbonate and other micro elements which are necessary for correct enzyme function. For every 5 litres of drinking water use 1ml of SHELL MAX . The dose of SHELL MAX is most effectively given during the second part of the photo period, but it can be given safely at any time of the day. The treatment period should be not less than 7 days, after which the shell problem should be evaluated and treatment reintroduced if necessary.